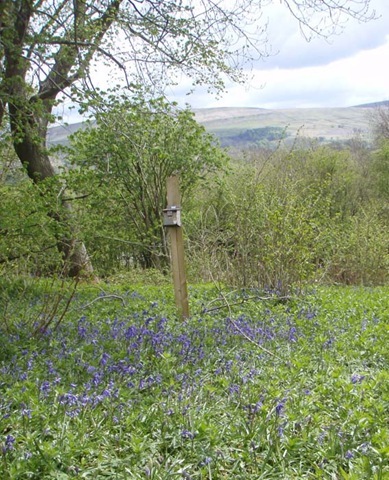 What a treat it was to visit Wensleydale’s ancient coppice wood near Carperby in late May and to find that the Yorkshire Dales National Park Authority (YDNPA) had cleared away many of the Genguards and brambles. 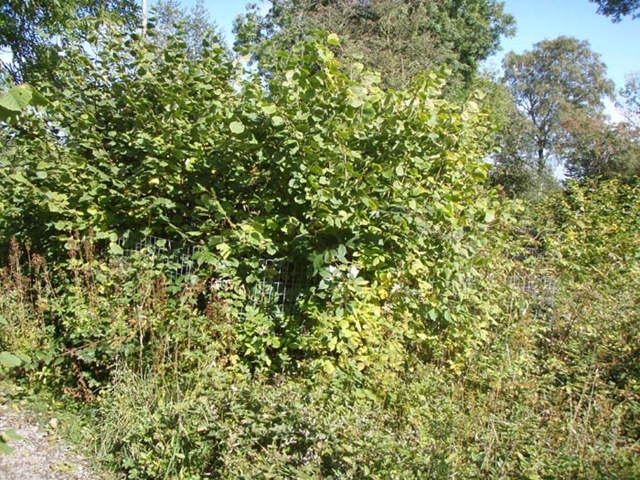 When I was researching the article I wrote about Freeholders Wood for the January issue of the Dalesman I was shocked to see that many Genguards (mesh guards) had been left around coppice plots for so long that the hazel was growing through them along with a lot of brambles and thistles. Below left: an overgrown Genguard. On the right – after the Genguards were removed. The Genguards are placed around the newly coppiced plots to protect the young shoots from rabbits and deer. But even though in 2009 the YDNPA was publicising its reintroduction of dormice to the wood a large swathe looked a very sorry sight. The wood got its name from the Freeholders of Carperby who, for centuries, “put up a smoke” in the village and so had the right to collect fallen wood (estover) and cut sticks and poles. Hazel has been coppiced in this semi-natural area of woodland for about 400 years. By the 1960s there were few exercising their rights to collect pea sticks but those who did never cut a whole hazel plot. “They would take different parts of a particular hazel root and tree in different years – at different stages,” said Mr Roger Dinsdale. The first to be taken was the pea sticks, then the poles for hurdles and fence panels, and later the heavier wood for fuel. They also left some areas open for grazing animals. “A lot of us felt (in 1982) that the wood really did want some serious management,” explained Mr Dinsdale. He thought the YDNPA would start by cleaning out the invasive black thorn, brambles, bracken and thistles. He and other Freeholders are saddened that the YDNPA has not conferred that much with them. They feel they have become peripheral to the management of this ancient woodland and that their rights have been whittled away. The YDNPA’s senior wildlife conservation officer, Tim Thom, assured me that they would seek to rectify that this year. At least this year the wood does look far more attractive and there is no better time to visit than May when the spring flowers are in bloom. By late May the bluebells, wood sorrel, wood anemones, violets, marsh marigolds, primroses, cowslips, and early purple orchids were all in flower. Even more surprising was the big patch of toothwort near the lower falls – probably late due to the cold weather earlier in Spring. Many visitors enjoy visiting the upper falls and use the excellent path through the wood created by the YDNPA to provide access to the middle and lower falls. But few take time to explore Freeholders Wood. Parking is available at the YDNPA’s visitors’ centre on the north side of the river, and at The Falls on the south side. There are cafes and restaurants at the visitors’ centre, by the bridge over the river and at The Falls, as well as the Palmer Flatt inn and an excellent gift shop. And while you are in the area why not visit St Andrew’s church. 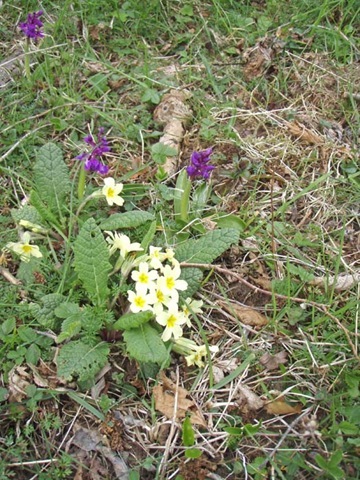 Below: left – primroses and early purple orchids; right – a box for dormice among the bluebells.